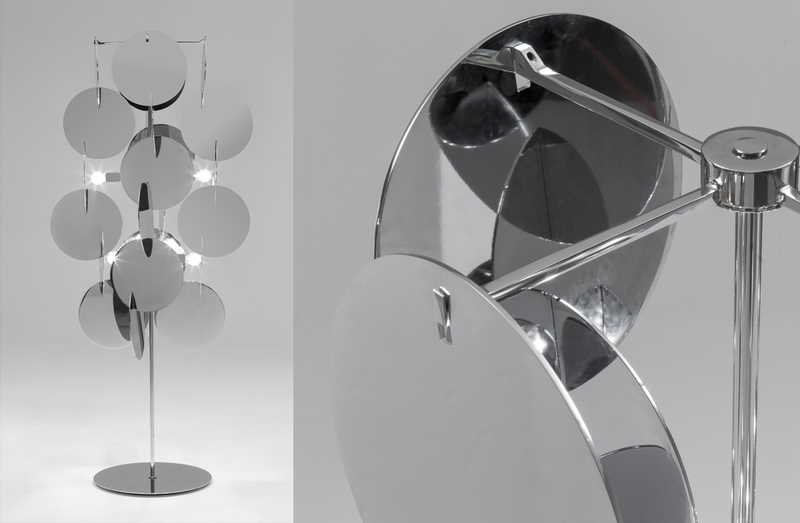 Floor lamp with metal structure and shades in polished chrome, brass, copper or black/white lacquer finish. Requires (8) x 30W E26 Bulbs. Please see ADDITIONAL SPECS for sketch. 33.5" x 35" x 73.5" total height.